Broadside with 3 lines of headline type surmounting a large wood-engraved map. The map 16 1/4”h x 14”w on a 21 1/2”h x 15 1/2”w sheet. An extremely rare broadside map of the Richmond, Virginia area, published for by G.W. 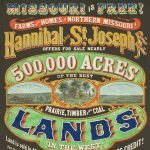 Colton New York’s German population during Grant’s Overland Campaign of May-June 1864. 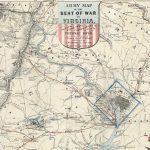 The Overland Campaign of the Civil War began in May 1864 and entailed almost two months of nonstop, bloody fighting at The Wilderness, Spotsylvania Courthouse, Cold Harbor and elsewhere. Union casualties were enormous, threatening the war effort and leading to General Grant’s undeserved reputation as something of a butcher. However Confederate casualties were proportionately higher, and the campaign left Lee’s Army of Northern Virginia decimated and Grant in a position to lay siege to Petersburg and Richmond. 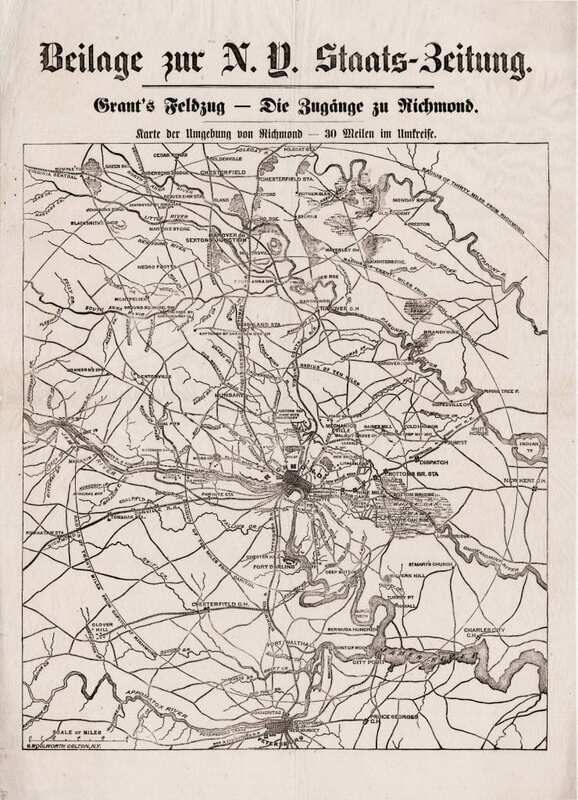 Other than the translation of the title into German, the map appears line-for-line identical to one published on June 1, 1864 as a supplement to the New York Times. 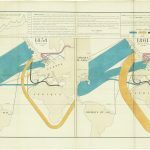 OCLC #22174108, giving a single example at the Library of Virginia with the date incorrectly “1846.” Not in Stephenson, Civil War Maps: An Annotated List of Maps and Atlases in the Library of Congress. Some wrinkling, creasing, minor soiling and small mends, but very good for such a fragile item.